Dear friends! Do you weat lipsticks every single day like i do? If yes, you might want to look at this lipstick now. It is one of the first high end brand lipstick that i bought last year and i have been loving every single bits of it and i have 4 types of color lipsticks now from the same brand. 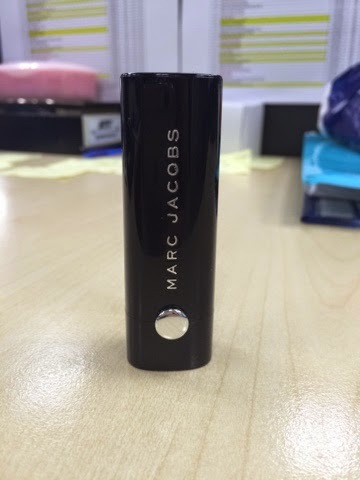 I think Marc Jacobs beauty does not need any introduction anymore. Some are in love with its foundation, some are in love with its eye liners but i am in love with its lipsticks collections. This is somewhat from their newest color range, i think they have several new colors which are super pretty and gorgeous! 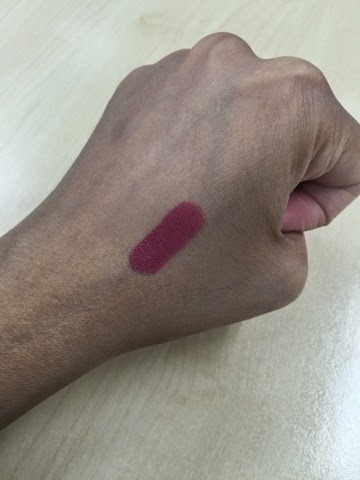 I bought mine in the shade Kiss Kiss Bang Bang, a rosey dark shade that is super rich and deep. I love these kind of colors and i think i owned a lot of lipsticks with the same color now. It can be seen as very dark pink but when applied it on the lips, it can be looking quite subtle and nice. Somehow it looks natural. 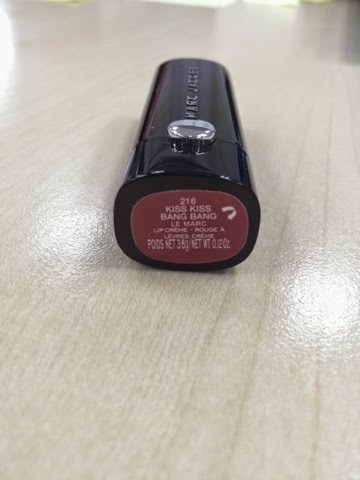 I can say that this lipstick is quite long lasting. It does not dries up my lips at all and i love how it it matte but not drying. It does not moisturized my lips either. It just feels normal on the lips. 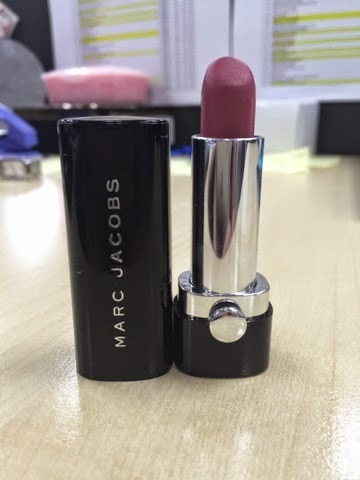 For those who are into lipsticks like i do, this would be one of your choices to look after. Visit the nearest Sephora stores today!